Yes, Newt’s Up in the Polls. No, You Shouldn’t Take His Candidacy Seriously. 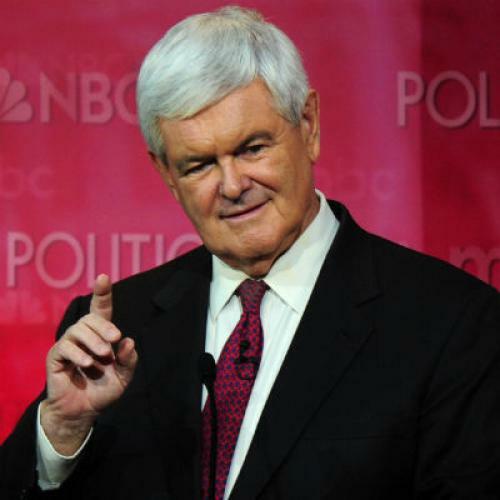 Newt Gingrich is having an impressive national polling surge. His chances of grabbing the GOP presidential nomination have spiked up to over 30 percent at Intrade this week, and the media is full of stories about whether it’s time to start taking him seriously. Here’s my advice: don’t. None of the recent polling means he’s going to win the Republican nomination, nor does it even mean that he’s going to have a serious shot at it. Newt is still the same wildly unelectable candidate he was five minutes ago, and the polls that say otherwise are no better indicator of voters’ true preferences than a game of darts. The reasons why we don’t have to take Newt seriously are many, but the most obvious is that, despite his recent polling, he’s still the same candidate with all the same baggage. He’s still got his history of deviations from party orthodoxy on practically every issue, and the ethics violations, and the marital problems. He’s still the same guy who wound up not being trusted at all by those who worked with him when he was in office. And he’s still got a long history of just not being very popular with anyone outside of the most intense of intense partisans—and even they are likely aware that he’s risky at best and more likely pure poison in a general election. The lack of endorsements by party actors is the second factor working against Newt, and it suggests that the people who have the most at stake in the nomination see him the same way as I do. We’ve seen this year (Donald Trump?!?) and in the past (John Anderson 1980? Jerry Brown 1992? Rudy Giuliani 2008?) that practically anyone can get a rush of attention and therefore a surge in the polls, and if it’s timed right that can even translate into winning a few delegates. But ever since the early 1980s, when the modern selection process became fully in place, no one has come close to winning a nomination without strong support from party officials, elites, and assorted activists. No one similar to Newt has ever received that kind of support, and so far he hasn’t either: Just as was the case with Bachmann and Cain, he’s surging in the polls without winning over politicians, GOP-aligned organized groups, or other conservative opinion leaders. That rank-and-file Republicans, who are generally not aware of his weaknesses, are willing to say that they would hypothetically vote for him just doesn’t impress me as a reason to believe there’s anything to it. Indeed, if there’s one thing that the long history of post-reform nomination politics tells us, it’s that large national polling surges can rise—and dissipate—overnight. That’s been true since Ed Muskie was inevitable in 1972. And it’s obviously more true than ever this year, with Michele Bachmann, Rick Perry, and Herman Cain all having surge-and-collapse cycles. So there’s just no reason to get all hyperventilated about Gingrich’s surge. Yes, we’re a bit closer to the Iowa caucuses, and it’s certainly possible (though hardly certain) his bubble will survive through that contest. But that’s only Iowa. There’s plenty of time for it to burst well before the bulk of the delegates are chosen, which won’t happen until March. The main reason for all this instability in the polls is that most Republicans just aren’t paying very much attention to the contest right now. That’s hard for the sorts of people who read The New Republic to accept, because for us politics is an active ongoing part of our lives, verging for some on an obsession. But that’s not how it is for most people. Even for those who will eventually care enough to vote, politics most of the time is background noise and an occasional conversation topic, not something to stay up-to-date on; it’s the difference between season ticket holders and people who start watching when the playoffs begin. Moreover, most rank-and-file Republican voters just don’t care very much about the subtle differences between Romney and Cain and Perry and Gingrich and the rest. They pretty much like ’em all; after all, they’re all basically conservatives, and they’re all Republicans, aren’t they? The one that they’ll pick if they happen to get polled is therefore most likely going to be whichever one they’ve most recently heard something positive about, which in most cases probably boils down to whoever has been in heaviest rotation on Fox News recently. Two months ago that was Prince Herman. Now, it’s Newt. Current poll numbers, in other words, aren’t a good measure of firm decisions about who folks are going to support; they’re just placeholder answers for a question that the overwhelming bulk of Republicans haven’t really thought about much yet. This doesn’t represent exceptionally irrational behavior on the part of GOP primary voters, either. After all, unless they live in Iowa or New Hampshire, voters won’t ever be choosing from this unwieldy ten candidate (or so) field, and the odds are good that for most Republicans, in most states, they’ll never have to make any choice since the nomination will be wrapped up before it gets to them. So why should they waste their time trying to figure out which one is the “real” conservative? Why go through the painful business of choosing sides? Picking a horse entails (as Democrats might recall from four years ago) finding things to dislike about a politician who you actually have nothing at all against, used to like, and will like again in the future. Not to mention potentially taking sides against your friends and neighbors, instead of agreeing with them about politics as you normally do (since most of us are surrounded much of the time by co-partisans). Much better to avoid the risk of cognitive dissonance and ignore the whole thing or treat it as entertainment until decision time comes. And with any luck, you can skip it and go straight to the part where you get to go back to disliking Barack Obama. In other words, the reason polls can jump around so much this far in advance of the voting in most states is that pushing people to pick a candidate creates a temporary preference where one may not have existed before the respondent answered the phone. The results are most likely merely an artifact of the fact of polling. And if the polls don’t reflect firm decisions, then there’s no reason to believe that the voters really want Newt.